Best prices online for Wildlife cameras. 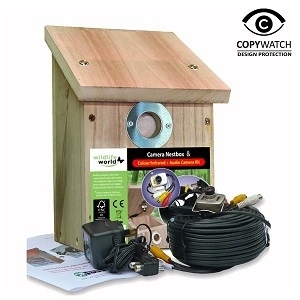 A range of plug and play camera systems ideal for wildlife watching. Whether you want to watch fledging birds or nocturnal creatures such as hedgehogs and badgers, you can enjoy a window onto another world. Great for children to spy on nature from the comfort of the sofa! Our range of wildlife cameras and hides offer the perfect way to watch birds nesting and enjoy the sight of nature and wildlife in their own habitats.